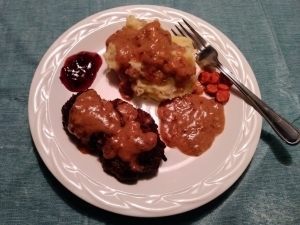 I spent a lot of time prepping this Swedish Meatloaves meal, a lot of time screaming at it while I cooked it, and a few moments of grumbling while I ate it, but I have to admit it tastes great. 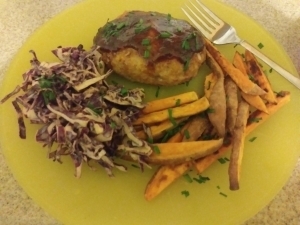 This Barbecue Pork Meatloaf with coleslaw and sweet potato wedges was good enough to have Gail asking for it 3 times a week. Easy to make and tasty to eat.